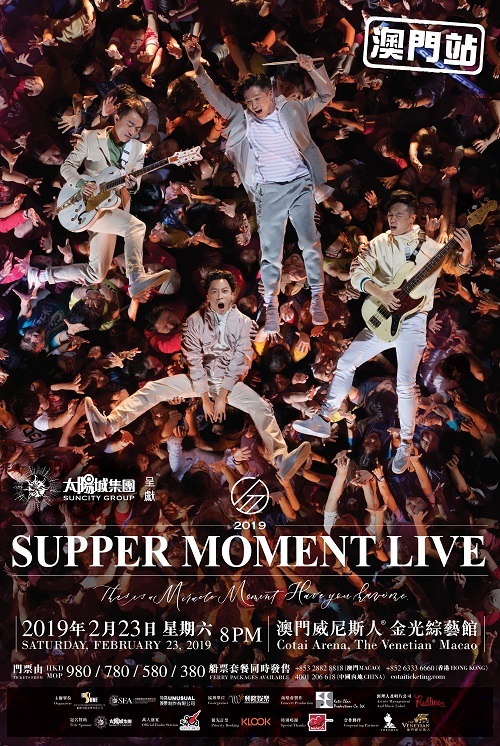 (Macao, Dec. 11, 2018) – Following last year’s successful show at The Venetian® Macao’s Cotai Arena, top Hong Kong rock band Supper Moment will return to the venue on Feb. 23, 2019 for Suncity Group presents SUPPER MOMENT LIVE IN MACAO 2019. Tickets go on sale on Dec. 12, 2018 at all Cotai Ticketing box offices. 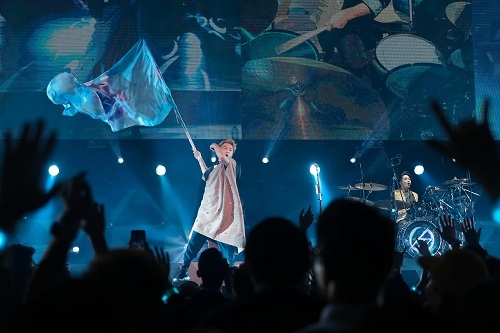 The group has recently been on an extensive tour of Chinese cities including Beijing, Shanghai, Chengdu, Changsha, Guangzhou, Zhongsha, Shenzhen, Dongguan and Zhuhai, and are fresh from three consecutive sold-out shows in Hong Kong in early November. Supper Moment has been awarded ‘My Favourite Group’ title for three straight years and received ‘Ultimate Group ¬– Gold’ at the 2018 Ultimate Song Chart Awards. Earlier this year they released their newest album “dal segno” to positive media reviews and huge online acclaim. During the coming concert they will perform tracks from the new album as well as classic hits including “Endless”, “Song of Happiness” and “The Kite”, among others. Formed in 2006, Supper Moment – comprising lead vocalist and guitarist Sunny, bassist CK, guitarist Martin and drummer Hugh – are celebrating their 12th anniversary in the music industry. 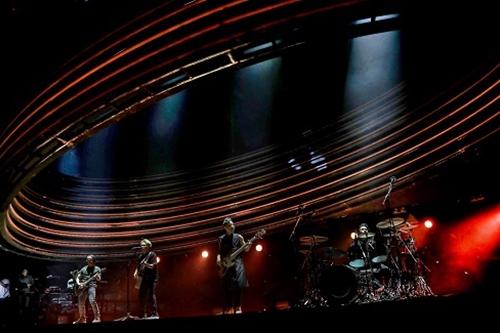 Don’t miss this talented band at Suncity Group presents SUPPER MOMENT LIVE IN MACAO 2019 at The Venetian Macao’s Cotai Arena on Feb. 23. 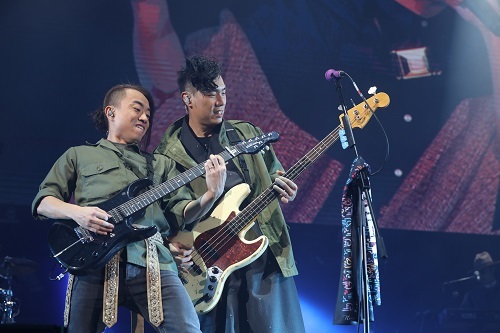 Photo Caption: Supper Moment will return to The Venetian Macao’s Cotai Arena on Feb. 23, 2019 with Suncity Group presents SUPPER MOMENT LIVE IN MACAO 2019.